Michael wrote the play Jersey Shore House, produced most recently in L.A. starring Don Stark from That 70's Show and previously in NYC starring Tony Award winner Beth Leavel. Other plays: The Blue Martini (Off-Broadway, NYFringe Festival '06), Life is Short (CenterStageNY), Spring and Jake (Firework Theater), and Delayed Exposition (published: Eldridge Publishing). 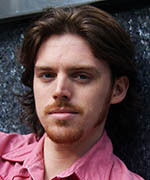 Michael wrote, co-created, and starred in the web series Stoop Sale, selected for the Independent Television Festival in L.A. and Hard Times, picked up for distribution on the online networks koldcast.tv and mypodstudios.com respectively. Michael trained at I.O. (Chicago), The Barrow Group (NYC), and The University of North Carolina at Greensboro. 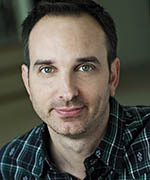 Chris is a writer, director, editor, actor, and composer who took home "Best Web Series" and "Best Comedy" at the Independent Television Festival in L.A. for Octane Pistols of Fury, also selected for the New York Television Festival. Previous work as a filmmaker: Man-Man (New York Television Festival), The Stryker Files, Sandwich of Terror, Scissor Cop. He also appeared in Wunderkrafthaus (New York Television Festival). A veteran of the popular video screening series Channel 101, Chris also heads up his own production company, Escape Pod Films. Devin is an actress and comedian recently seen in the web series Michael Stahl-David: Behind the Star (Sony Pictures) and Stoop Sale (co-creator), which was selected for the Independent Television Festival and distributed by koldcast.tv. 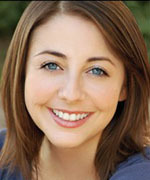 As a comedian she has performed at The Comedy Store (L.A./with Kevin Nealon), Caroline's (NYC), and Comix (NYC). As an actress she appeared off-Broadway in The Audience (Transport Group), on Law & Order (NBC), and the TV pilot Temps (New York Television Festival). 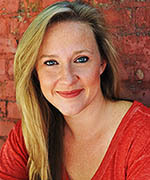 She trained at The PIT (NYC), The Barrow Group (NYC), The Atlantic Theatre (NYC), and The University of Wyoming. 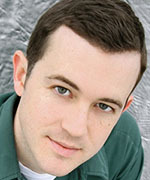 Gregory Lay is a graduate of the Neighborhood Playhouse School of the Theatre in NYC. His credits include guest appearances on Law and Order SVU (NBC), Forever (ABC) Person of Interest (CBS), Blue Bloods (CBS), as well as co-starring alongside Matt Damon and Michael Kelly in The Adjustment Bureau (Universal Pictures). He recently finished production on his first feature film, Lonely Boys which he co-wrote, produced and stars in. Also look for him leading the cast of the Feature Film Crazy Famous alongside Catherine Curtain and Ajay Naidu set to be released in 2016. 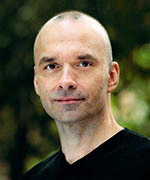 Jason Kravits is a veteran actor of stage and screen. His TV credits include two seasons on The Practice as well as recurring roles on The Unbreakable Kimmy Schmidt, Madam Secretary, The Michael J. Fox Show and Smash as well as appearances on Curb Your Enthusiasm, Married, 30 Rock, The Good Wife, Blind Spot, Hot in Cleveland, Raising Hope and many more. Films include roles on Chinese Puzzle, Morning Glory, The Adjustment Bureau and The Stepford Wives. 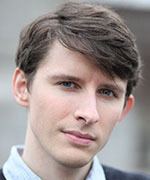 He has performed on Broadway in plays by Woody Allen and Ethan Coen, as well as the musical The Drowsy Chaperone. He co-created the hit web series Lords of the Playground, and regularly performs his one-man improvised cabaret, Songs in the Key of Me. 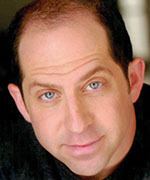 Tom is an actor, writer and producer who has appeared on Late Night With Jimmy Fallon, Comedy Central, The Onion's Today Now, and many national commercials. 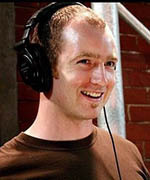 He created the animated sketch TV show, Señor Nugget, for the GameplayHD network. He also starred in two television pilots and a handful of short films. And before it closed, he got the chance to play CBGBs with his fake-Russian rock band, Dirty Lenin. Not too shabby. 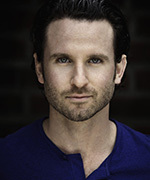 Erik is an actor and musician originally from the greater Chicagoland area. He is presently in a NYC based folk and roots rock band called The Hollows that just released their second album. NYC theatre includes Sean Cullen's Safe Home at the Interart Annex, Approaching America in the Midtown Int'l Theatre Festival and Nobody Suspects a Butterfly with Royal Family Productions. He holds a B.A. from Hope College and an M.F.A. in Acting from the American Conservatory Theatre in San Francisco. 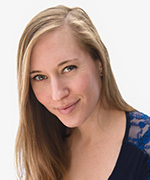 Brianne is a South Dakota native and a graduate of The University of Wyoming where she earned her Bachelor of Music Degree in Vocal Performance. Brianne is a member of Wide Eyed Productions Company. Some of her past roles include; Toodles Von Flooz: in both the film and stage productions of The Return of Toodles Von Flooz, Mary Magdeline: The Last Days of Judas Iscariot, Mrs. Big: Jack and the Soy Beanstalk, Sandra: One Flew Over the Cuckoo's Nest, Doris Walker: Miracle on 34th Street, Antonia: Much Ado About Nothing, Hodel: Fiddler on the Roof, Patty: You're A Good Man, Charlie Brown, and Betty Meeks: The Foreigner. More information. Chris was a regular host for TV Land's "Prime Movies" and has made television appearances on Saturday Night Live, Bravo, IFC, E Television, Hulu and The Discovery Channel. He also was selected to represent New York on the TV show "World Cup Comedy" produced by Kelsey Grammar. 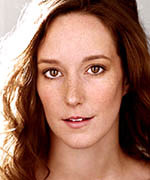 Lexi Balaoing is an actor/director/musician based in Savannah, GA. She is currently an active repertory member of the Savannah Stage Company, the Knysna Players of South Africa, and is a founding member of the Bushwick Shakespeare Repertory. She received her BFA in Acting from Florida State University and has studied theater abroad in London. She has worked with such notables as Patsy Rodenburg, Adrienne Lester, Jane Alexander, Olympia Dukakis, and Marius Weyers. 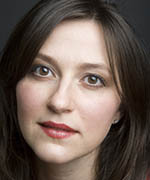 Lexi appeared as the title role in Julius Caesar at the Access Theatre Gallery in Tribeca. She appeared as Scarlett in The Sign In the Scarlet Prison, and Bet in Ladies Go A Thieving, both off off Broadway productions at The Looking Glass Theatre. She is a member of the folk duet Black Water Choir.